I’m delighted to introduce Tip and Tucker, stars of the newest I AM A READER series from Sleeping Bear Press. I am co-author of this series with my friend and fellow children’s writer, Ann Ingalls, who also has many years of experience as a classroom teacher. It’s been grand fun to write the first two books together, and we hope kids, teachers, and librarians enjoy them! 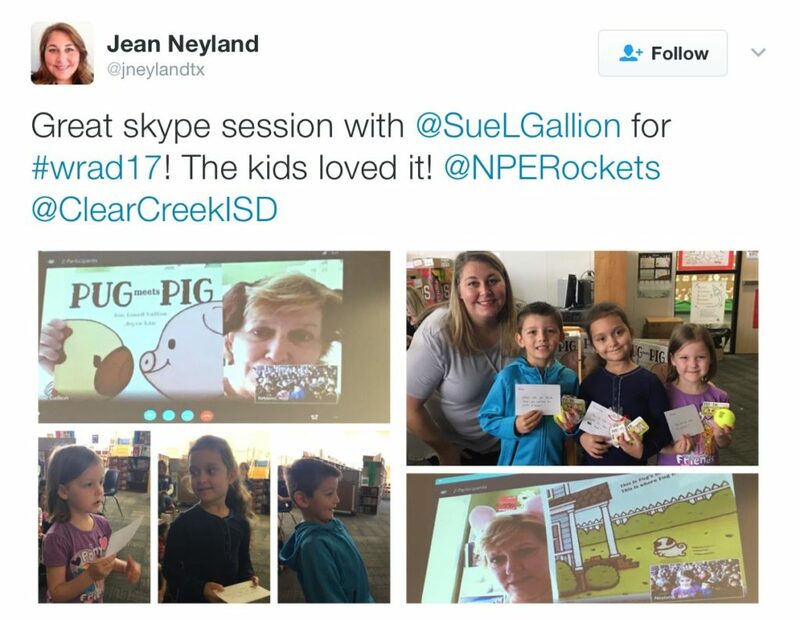 Pug Meets Pig nominated for the 2018 Missouri Library Association Building Block Award! This award encourages reading aloud from birth through kindergarten by giving preschoolers and families the opportunity to vote for their favorite in fall 2018. First trade review for Tip and Tucker Road Trip! Pug & Pig Trick-or-Treat was featured in Working Mother’s 10 Spooky Halloween Books That’ll Get Your Kids Excited for Parties, Costumes and Trick-or-Treating. 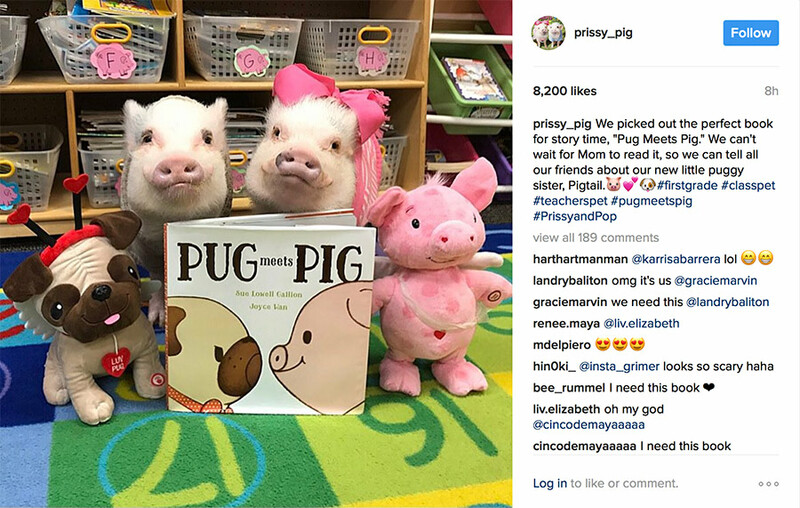 Celebrity readers Priscilla and Poppleton, the first grade pigs from Ponte Vedre, Florida. Follow my Pugs and Pigs and Picture Book boards on Pinterest. And on Goodreads, you’ll find my favorite read-alouds, dog picture books, board books, and more! If you would like an autographed or personalized copy of Pug & Pig Trick-or-Treat or Pug Meets Pig, call Kansas City’s independent bookstore, Rainy Day Books, at 913-384-3126 or go online to Rainy Day Books. Rainy Day Books welcomes special orders and ships books nationwide. Read a recap of Pug Meets Pig’s launch.